Loved the book, and reading them as they were posted (well, pre edit) was an amazing journey. Hope more pick it up. Does she write all of the stories or are they by different authors? 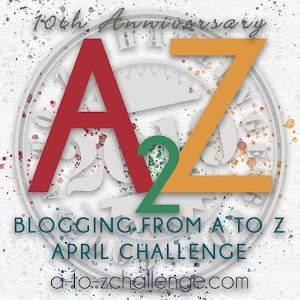 @Stu - during the A-Z challenge? That was how I met her! @Nina - she wrote all the stories. Yes, that was how I met both Damyanti and Lisa. Wow, sounds intriguing! I'm a fellow campaigner in the christian articles group stopping by to become a new follower and say hello. I enjoyed reading Damyanti's stories during the Challenge.